I have a love – hate relationship with Mistletoe. I love it when my wife kisses me under it, but I hate to see it growing in trees because it can hurt them. We have a good UGA publication concerning it and other things we see growing in trees, The Truth about Slime Molds, Spanish Moss, Lichens and Mistletoe. “Mistletoe is an evergreen parasitic plant found on a wide plant host range. 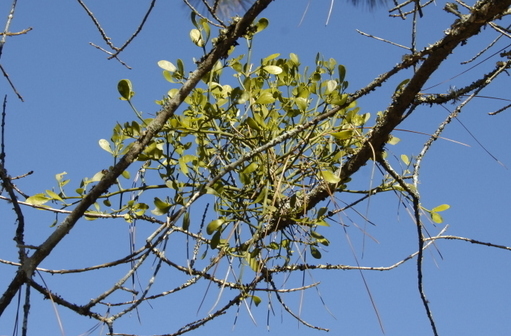 Mistletoe obtains water and minerals from the host tree, but it is not totally dependent. Leaves of the mistletoe contain chlorophyll and are capable of making their own food from carbon dioxide and water like other plants. Birds feed on the berries produced and excrete them to new hosts. When the seeds germinate, it grows through the bark and into the vascular system of the host where it obtains water and minerals . The mistletoe grows slowly at first and it may be years before seeds are produced. Healthy trees are able to tolerate small mistletoe infestations, but individual branches may be compromised and susceptible to wind or cold injuries. Heavy infestations may reduce the overall plant health or kill a tree especially if the tree is already stressed from environmental factors. Last week I had a close up photo of an Amadas cotton stalk puller/chopper. 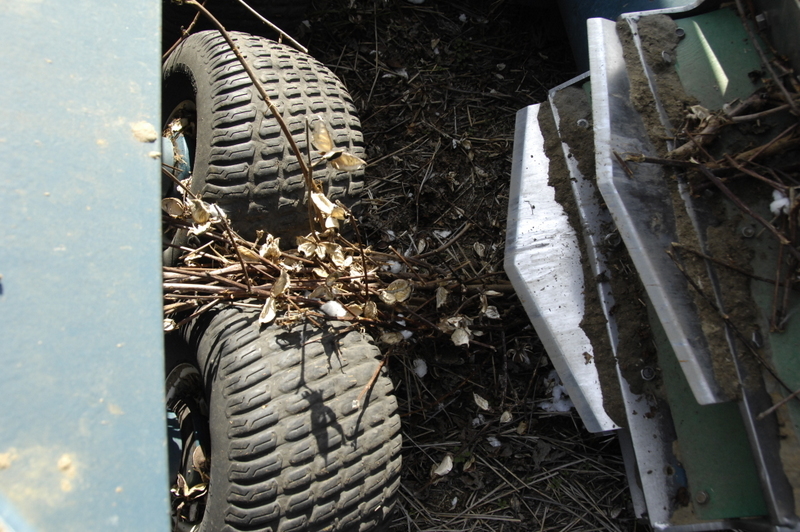 The rubber wheels roll and as the machine goes over the stalks, they pull them out of the ground exposing the roots and the whole plant to the chopping blades which cut them in pieces. 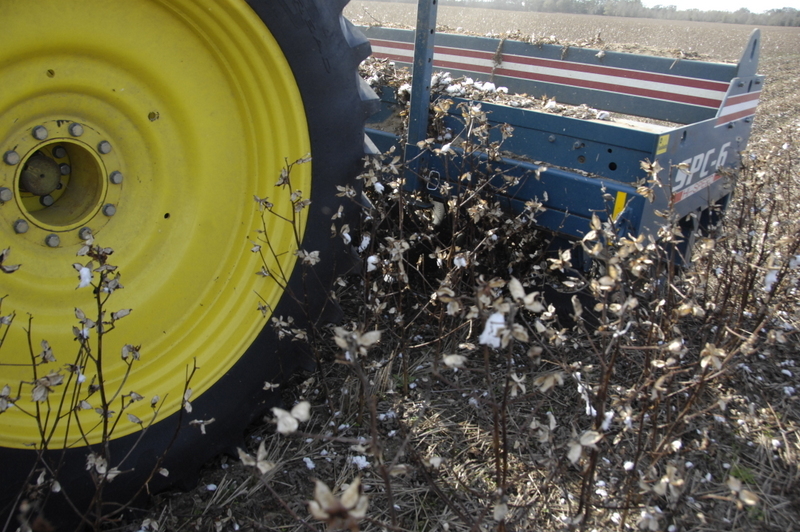 Cotton grows a woody stalk that can be tough to deal with in subsequent crops. There are other types of choppers and sometimes folks just mow the stalks and/or disk them. 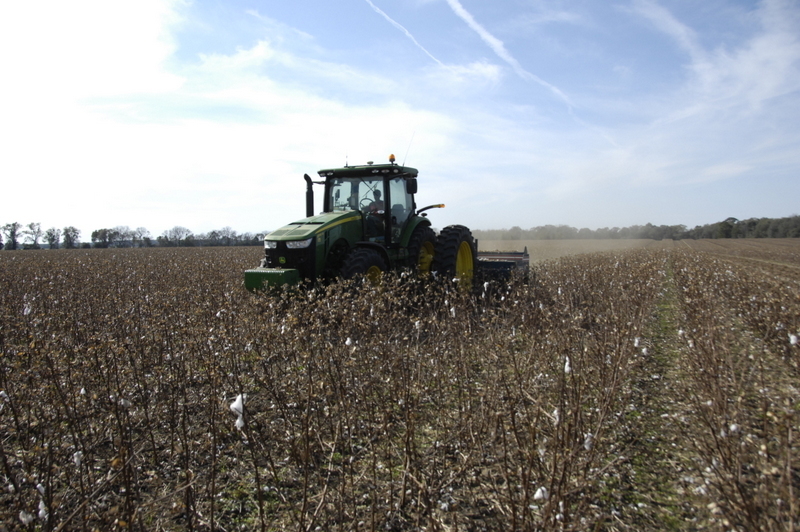 Will Mims was hard at work chopping stalks last week when I took these photos. 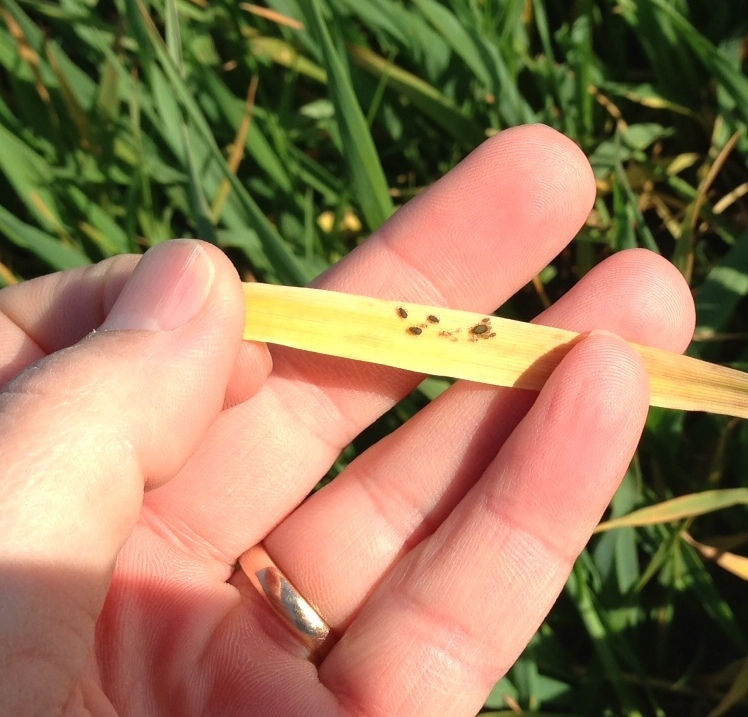 This week’s question is about these insects we saw in some oats this week? What are they specifically and what damage can they do? 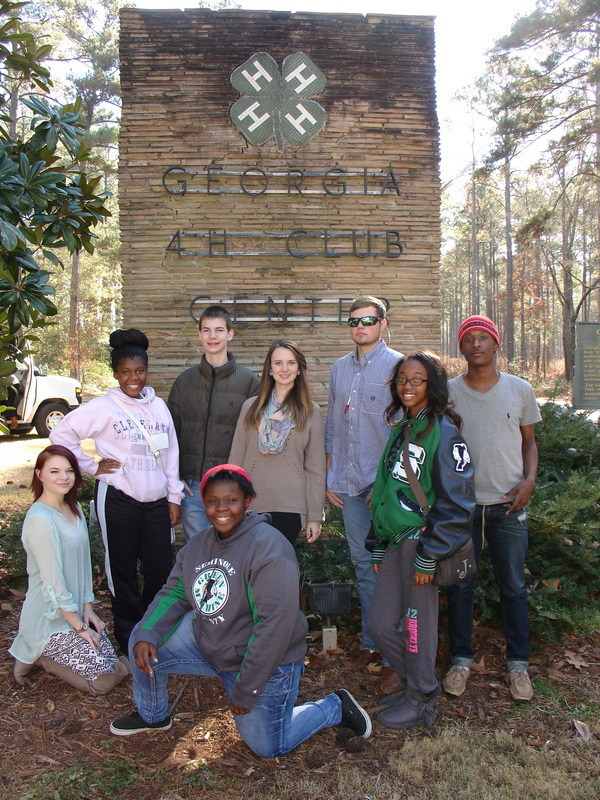 I and several 4-H’ers from Seminole and Decatur Counties recently participated in the statewide High School 4-H event , December Classic aka Fall Forum. It was held at Rock Eagle Camp. We had a good event and had many interesting workshops to learn in and exhibits to see. 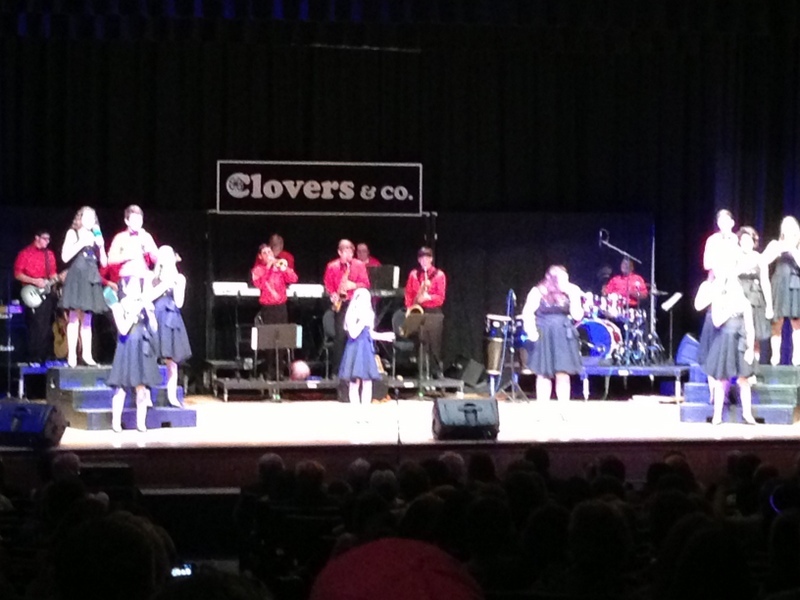 Also, Clovers and Company performed for us and it was a very good talent show. 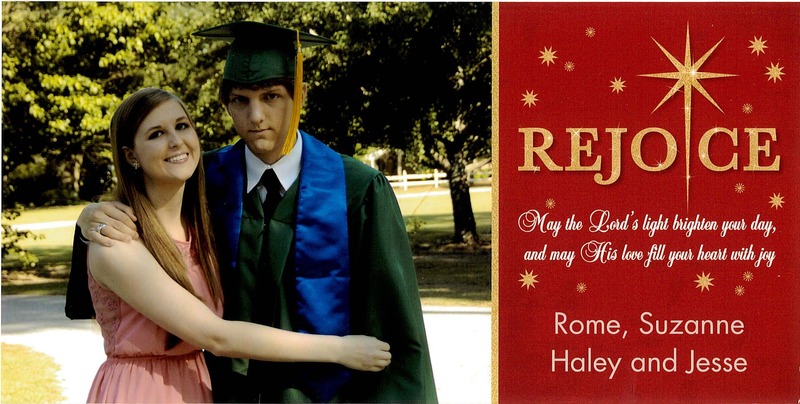 Now’s the time for all good……. no that’s a different story. 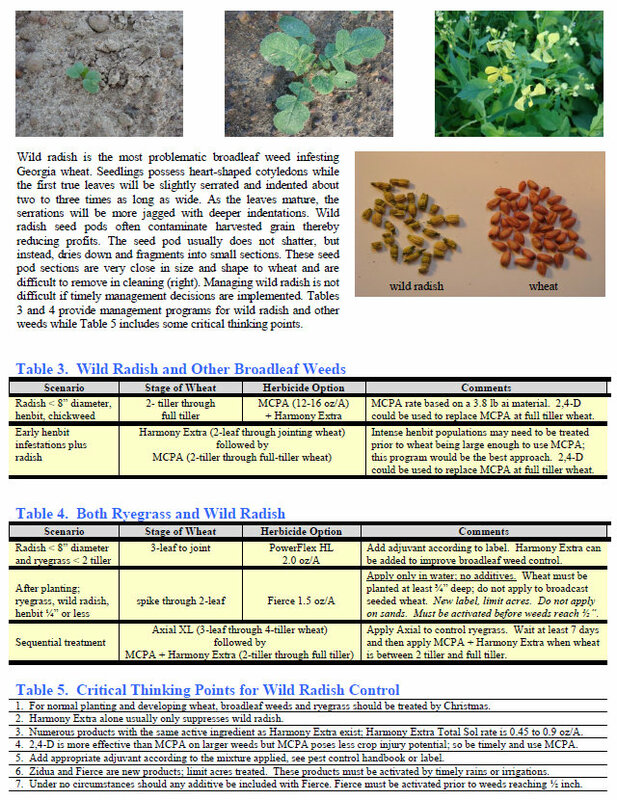 I meant to say now’s the time to treat wheat for weeds; I’m talking about wild radish mostly. If you need to treat for ryegrass it’s getting late. We often wait later but we will get a better job done by spraying earlier when weeds are small, especially on early planted wheat. We do need two tillers and a Harmony Extra and MCPA mix works very well. We want to make sure we have 2 tillers per plant before using this herbicide mix however. Later planted fields don’t have enough tillers yet to be sprayed. Now is also when we need to be looking for aphids, and we can put something in to control them if necessary. They do direct feeding damage and can transmit Barley Yellow dwarf disease. 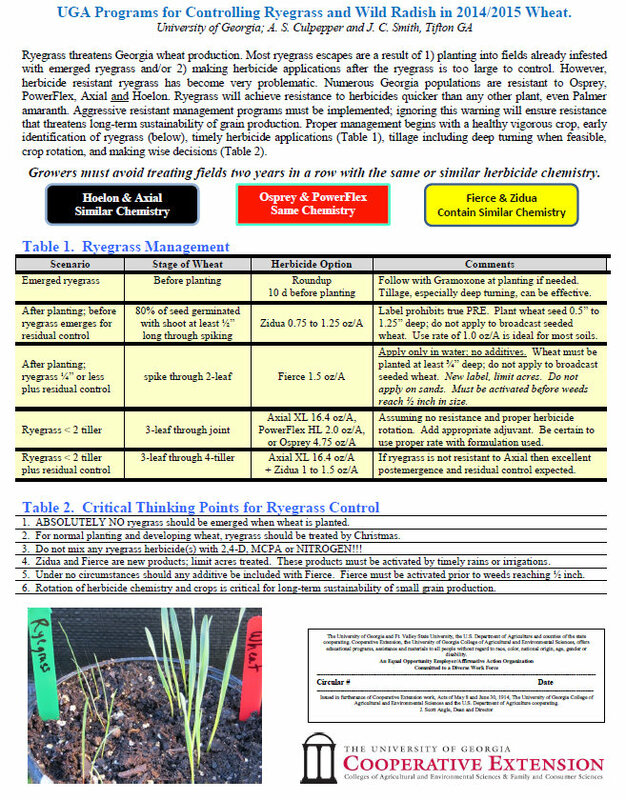 Here’s a new Wheat Weed Control guide. Figure 3. 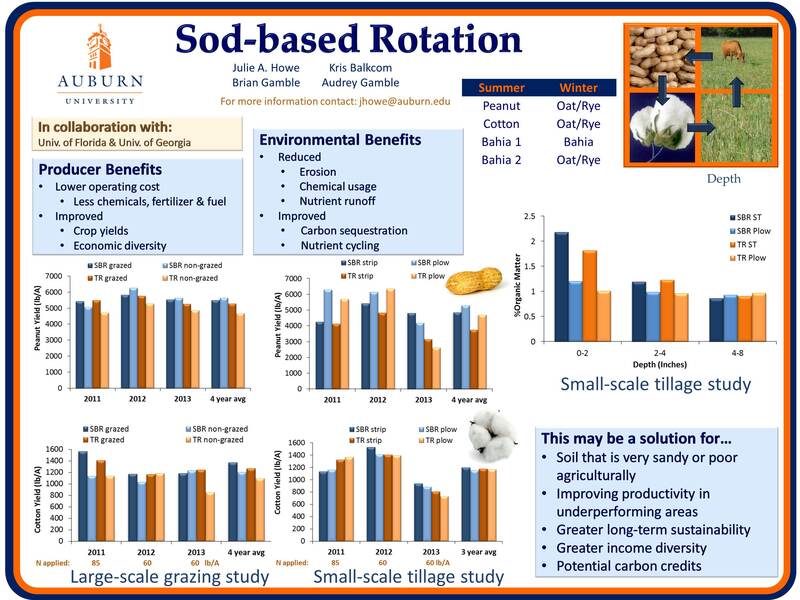 Peanuts that have been sod-seeded into a field that was formerly in bahiagrass. 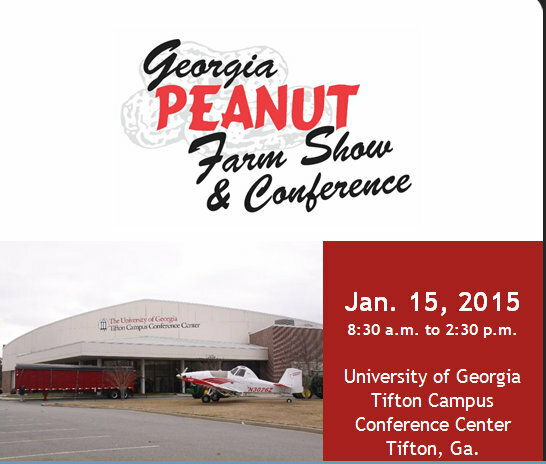 The annual Peanut Farm show is coming up in Tifton on Jan 15, 2015. It’s always a good place to go and learn about peanut production and see what’s new. 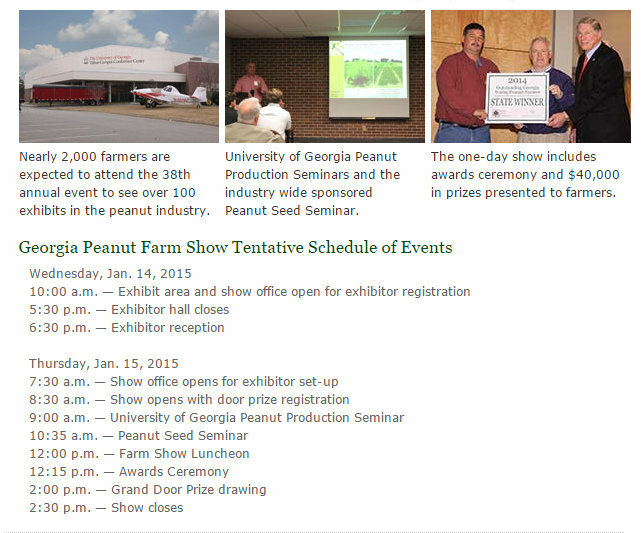 Go to the Georgia Peanut Commission website for more information. 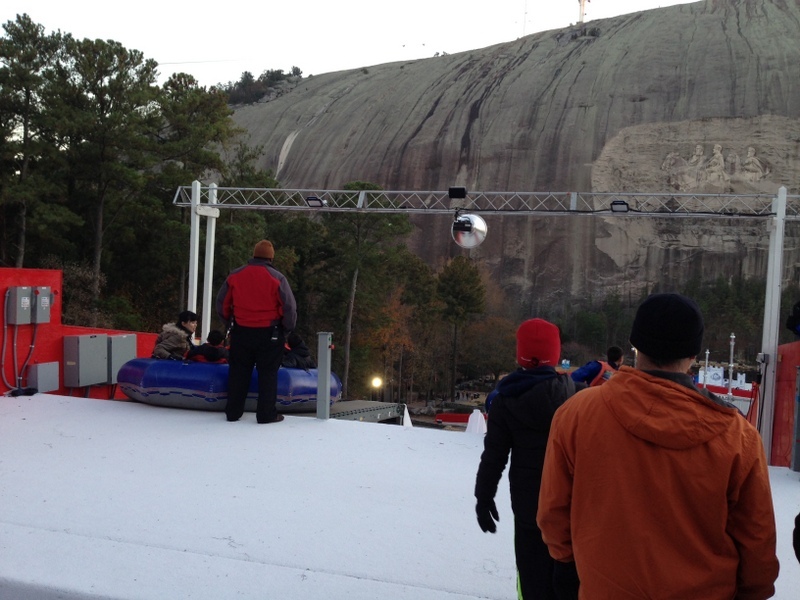 Last week I had a photo of us on Stone mountain. It’s an amazing place to visit. We walked up it but it seems taller than it was when I was a child. They don’t have the lazer show this time of year but in the area where you usually sit to watch the show they have put in a Snow Hill. And you can ride tubes down it, single person or the whole family together. It was fun. 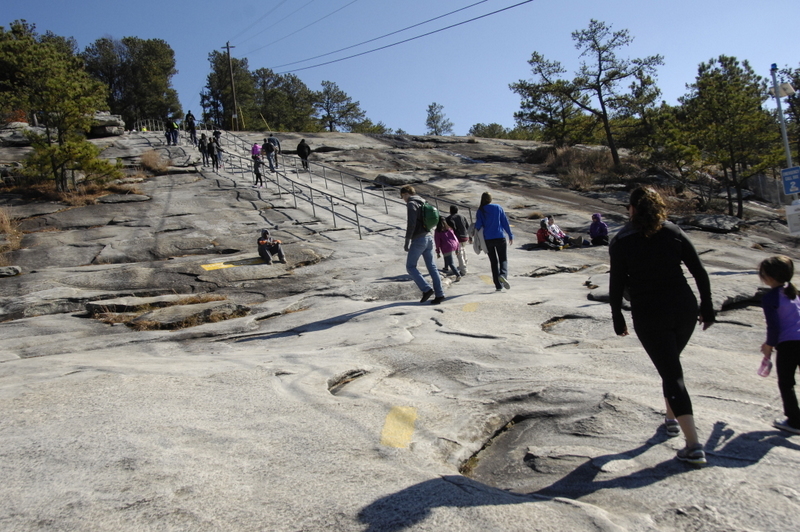 Stone Mountain is granite of course and has an interesting history. It’s one of our great natural resources in Georgia. The train ride is good and when you go around to the back of the mountain the real Christmas story is shared. 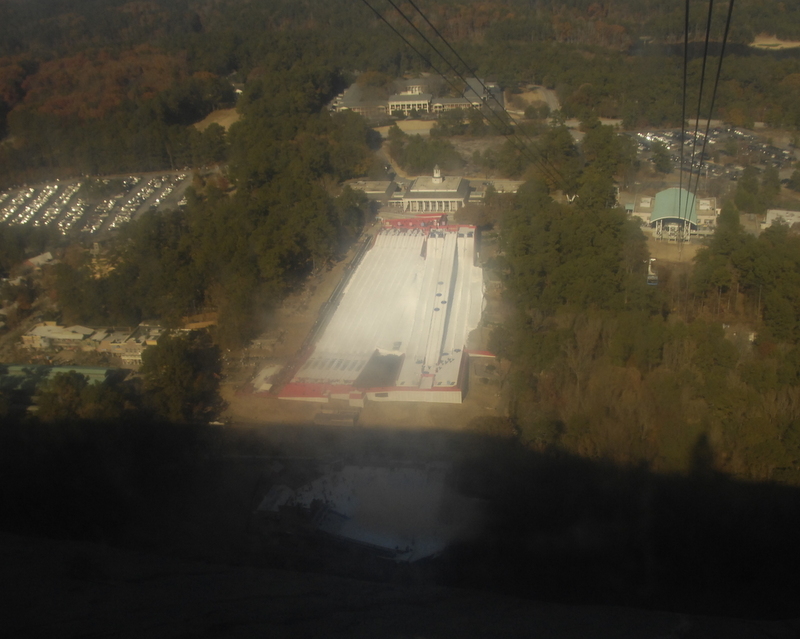 Here’s the view of the snow hill from the sky ride. This week I want to ask you what is going on here and why? 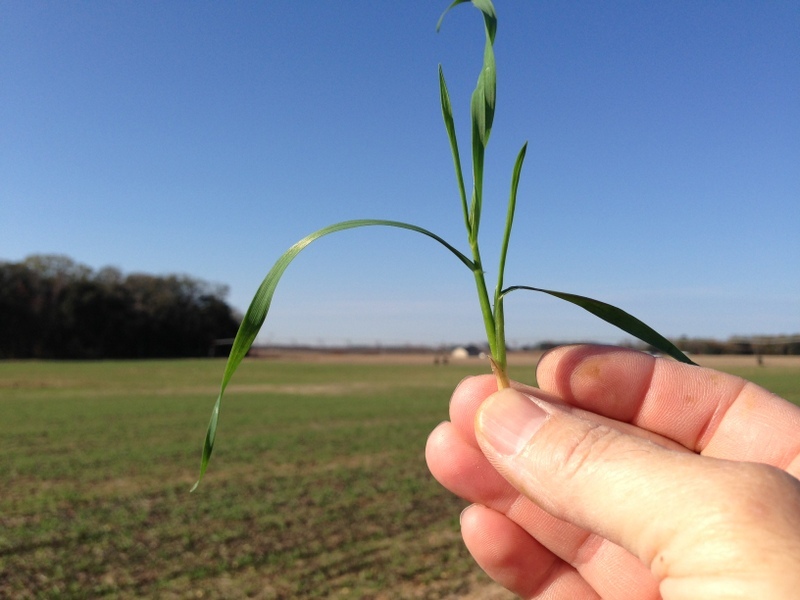 Small grains growth has been slowed by the cool, dry weather. Wheat fields I’ve been in only have a couple of tillers. I’m seeing a few aphids in the growthier fields, mainly oats for forage. It’s really dry and the soil is hard, so most forage grains need watering. 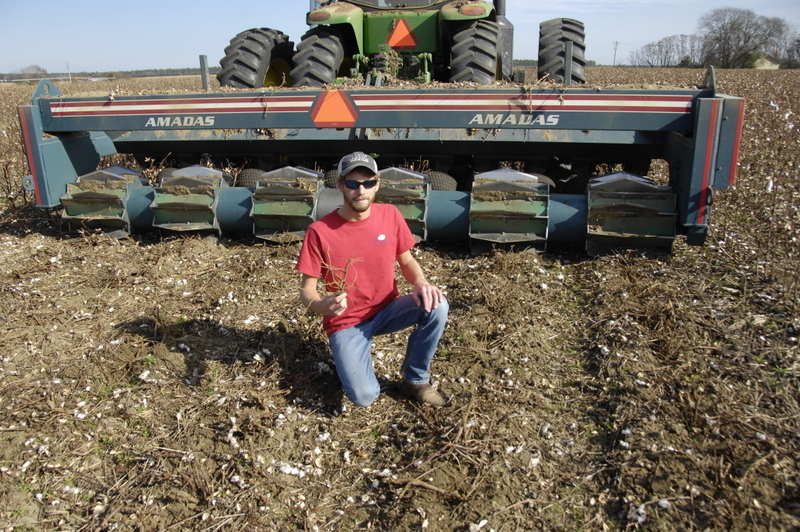 Jimmy Clements and the folks at Pineland seed had a good idea recently about checking planting effectiveness of your drill. 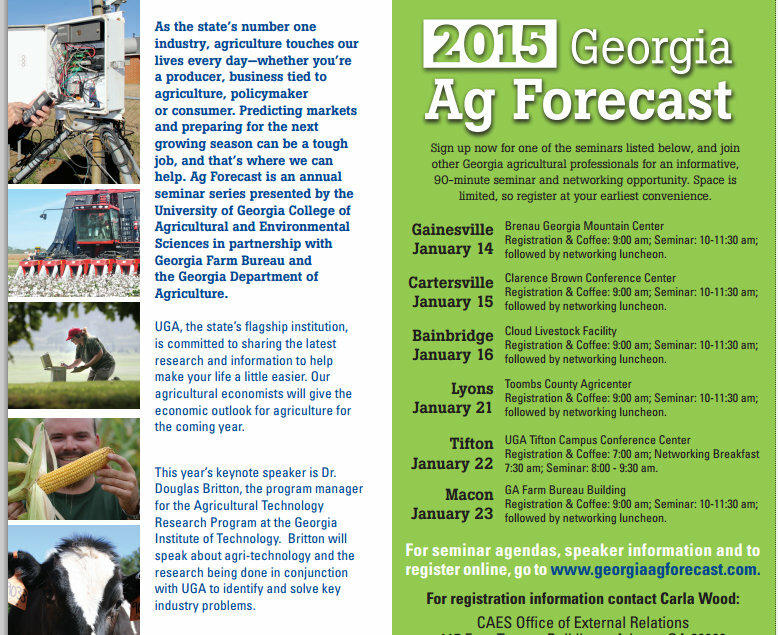 The 2015 Ag Forecast Meetings have been planned and our closest one will be in Bainbridge on Jan. 16th. Go to this site to register. 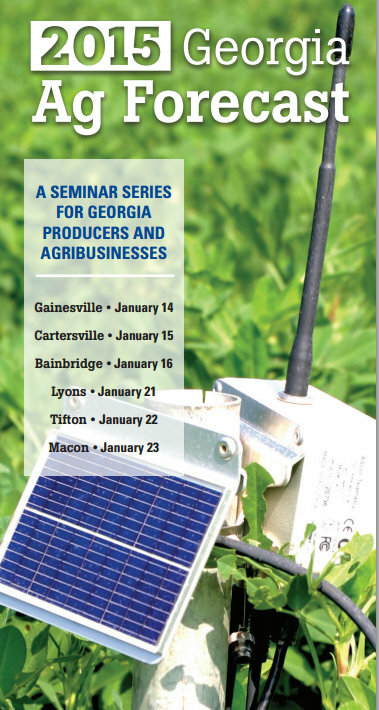 Georgia Ag Forecast.